Ever since binge watching TLC’s DC Cupcakes, I’ve always wanted to own my own bakery. Never mind that I’m a terrible baker and have zero concept of what would taste good besides chocolate and vanilla—the romantic notion of baking tiny cakes that could make someone’s day has always been appealing. That’s why I snagged this book. It’s about polar-opposite childhood friends Annie and Julia, who have a long, complicated history. 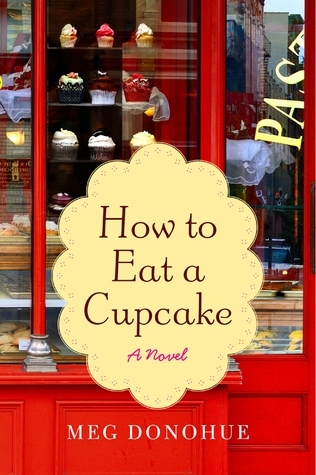 Ultimately, they open a bakery together, using Annie’s prowess as a baker and Julia’s business smarts and money. It was a total guilty pleasure read, and while I do have some gripes with the book, I will definitely be reaching for another Donahue book soon. I enjoyed her writing style and the way she illustrated scenes, emotions, and tiny details that pulled the scenery together. That being said, everything felt like a cliche. Julia is the rich, gorgeous, blonde friend, who is part of a wealthy family. Annie is eccentric, curvy, bohemian, and poor. Her mother was Julia’s nanny growing up, the hired help. That’s how Julia and Annie became friends. Julia is marrying a hot, rich dude, and Annie is single. The story went in a lot of different directions, and I never really felt like issues were realistically addressed, mostly because it was on to the next twist or emotional turn. That aside, it was great light read. I gave it a 3.5/5 on Goodreads.